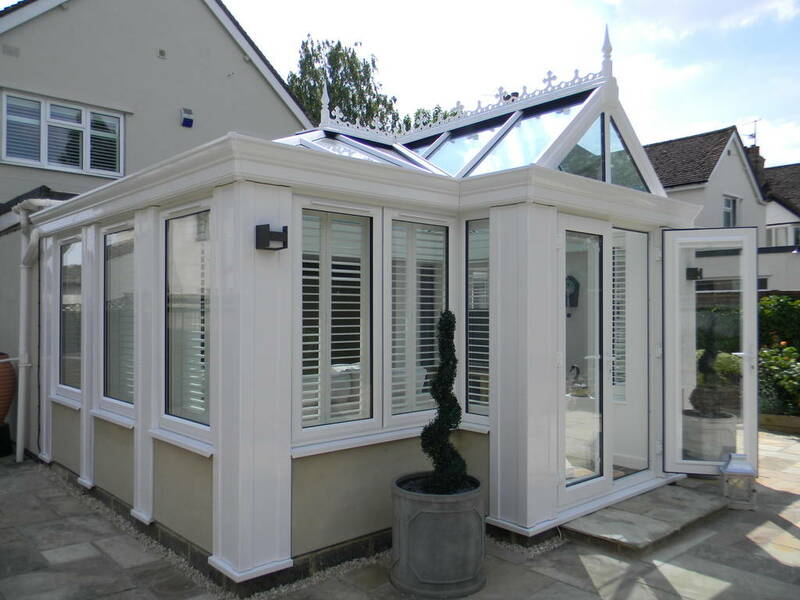 Mr & Mrs White contacted us in early 2016, looking to extend their home with a large Loggia style conservatory. As well as the addition of another bedroom and bathroom on to the side of their house. 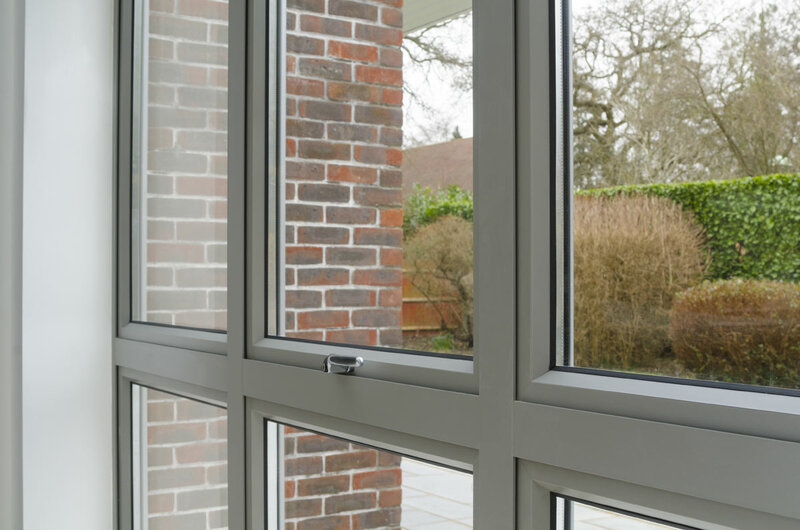 Prior to development, the Whites had a set of French doors opening out onto their large garden which didn't allow for much light to enter into their kitchen area. 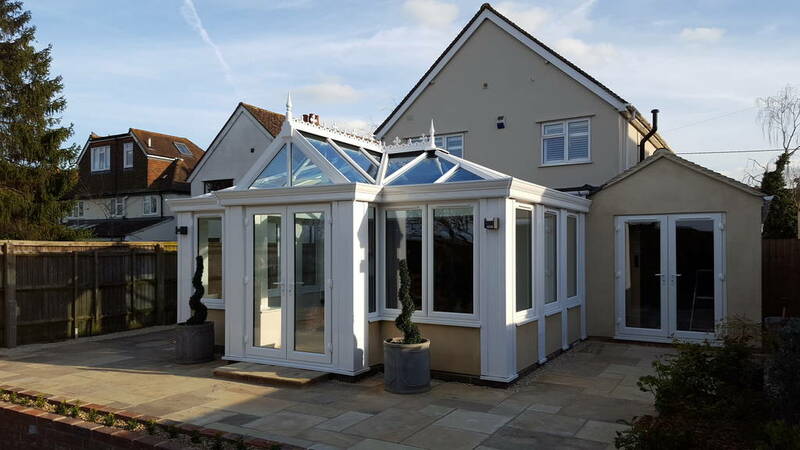 After a consultation with our team, the decision was made that the construction would be a Loggia style conservatory with a gabled front and rendered exterior walls, nicely tying the conservatory in with the rest of the home. 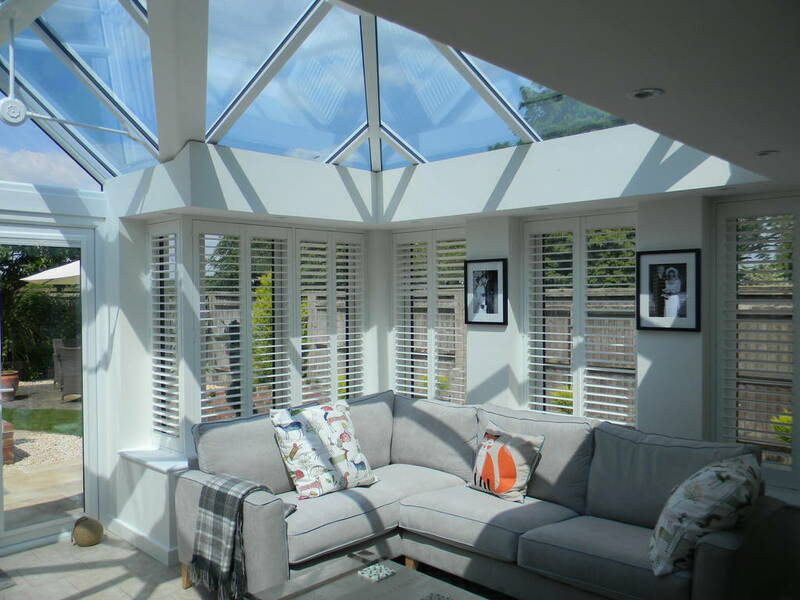 The Loggia design includes several elegant large pillars throughout the conservatory, which, along with the Livin Room features and rendered external finish gives the overall project a feel akin to that of an orangery, whilst still allowing for large windows to enable maximum natural light to flow throughout the house. 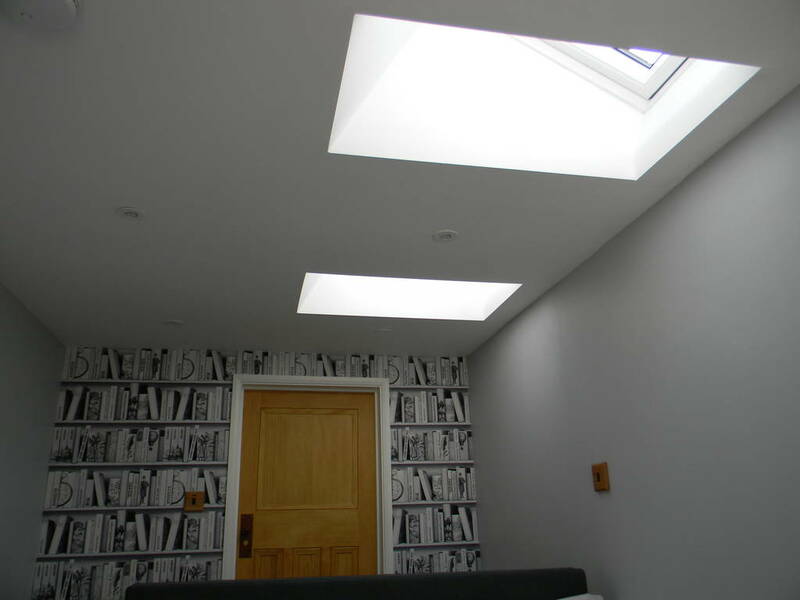 The Whites also opted for radiant heaters in the two back corners of the room. 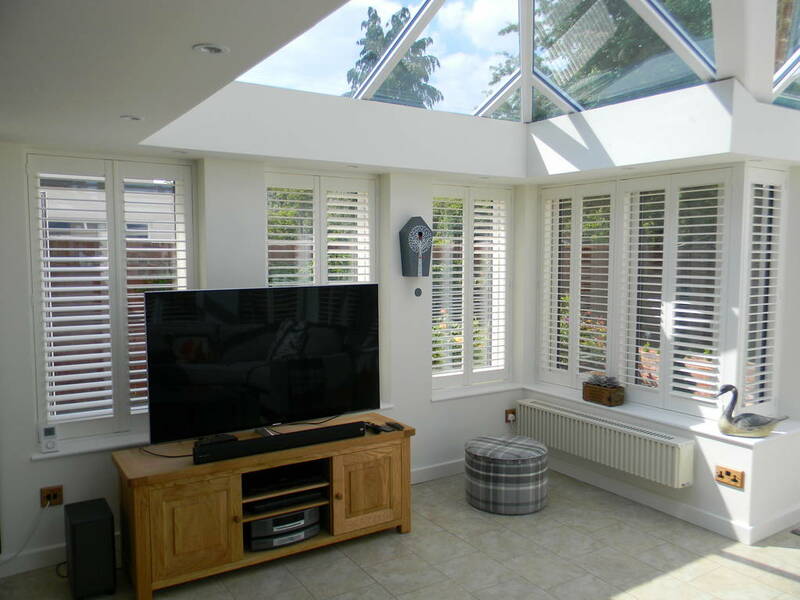 These large upright heaters subtly and stylishly hide in the corners of the conservatory and offer excellent heating throughout the room; meaning Mr & Mrs White can comfortably enjoy this living space all year round. 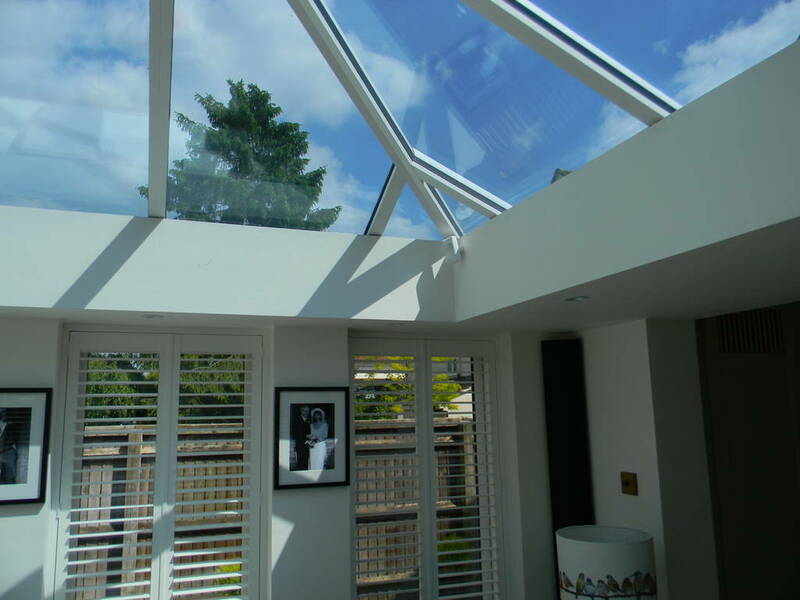 An additional side-project taken on by Crendon Conservatories was the extension to the side of the property: a small bedroom with en-suite bathroom. 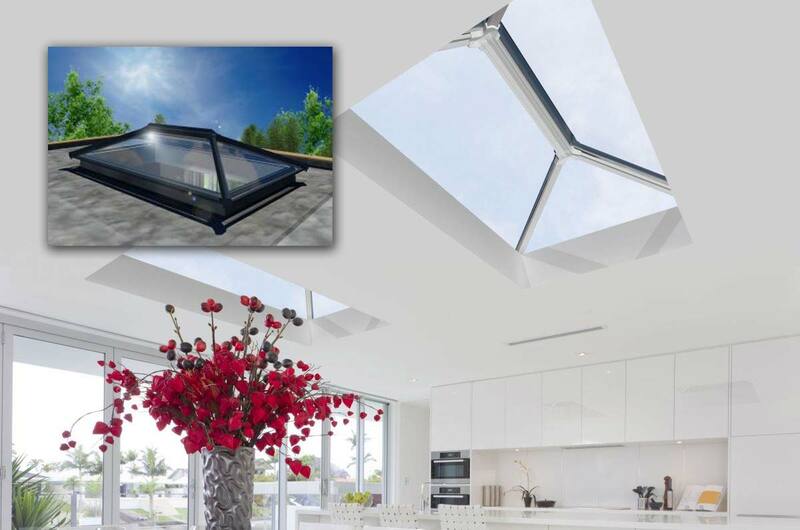 We opted for a matching set of ​uPVC French doors and two Velux windows on the pitched roof for a stylish and functional way to incorporate light into the room. 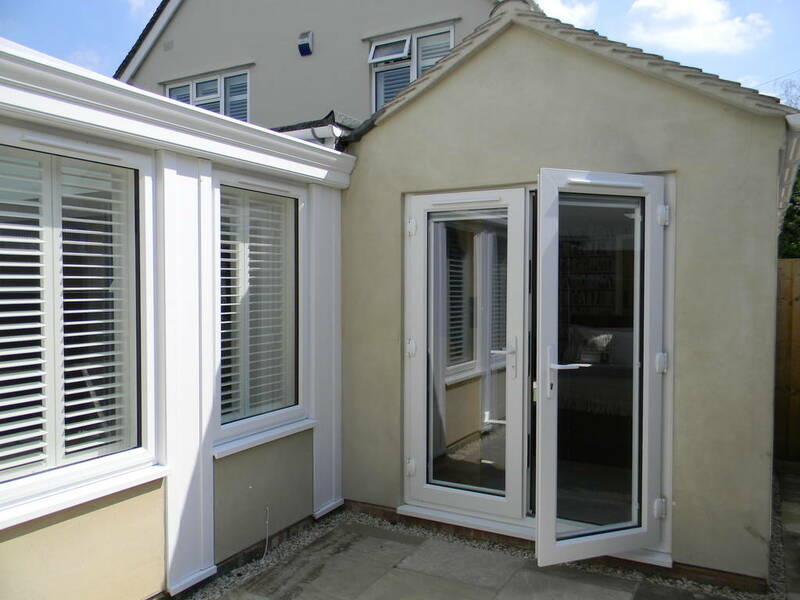 Again, the matching render on the exterior walls gives the extension a feel as though it really is part of the house.